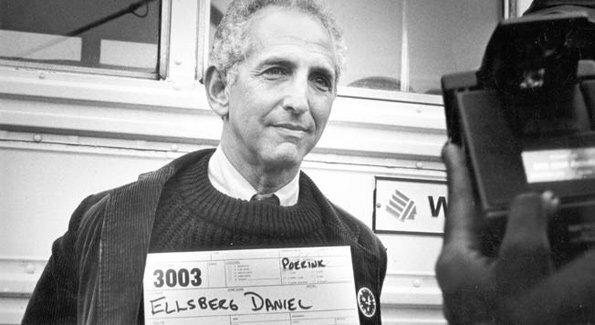 Daniel Ellsberg, Ph.D. (born April 7, 1931) is a former United States military analyst who, while employed by the RAND Corporation, precipitated a national political controversy in 1971 when he released the Pentagon Papers, a top-secret Pentagon study of U.S. government decision-making in relation to the Vietnam War, to The New York Times and other newspapers. He was awarded the Right Livelihood Award in 2006. 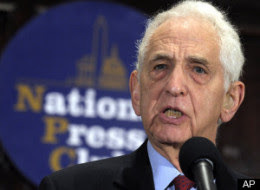 On December 9, 2010, Ellsberg appeared on the Colbert Report where he commented that the existence of WikiLeaks helps to build a better government. On March 21, 2011, Ellsberg along with 35 other demonstrators was arrested during a demonstration outside the Marine Corps Base Quantico, in protest of Manning's current detention at Marine Corps Brig, Quantico (Wikepedia). used for training and torture - "...the Ultra MK Universal Super Soldier program is the creation of a perfect fighting machine one who acts without questioning their command, brainwashed, enhanced with drugs, metal bones, and circuitry they are the real terminator. Originally 6,000 promising individuals were chosen from project Talent to become super soldiers. They were then placed into different six groups such as alpha dealing with general programming, beta or sexual programming, gamma or conintellpro, delta which are killers, and omega and so on. Only 20 living subjects survived from original group. It was there DNA that was chosen to create future generations of super soldiers within project surrogate. Today there are currently 400 super solider operatives in existence, they are so advanced they can lift a tank using telekinesis and can go into outer space without a breathing mask on. Each super soldier operative costs $30 to $100 million each. Total recall chair is the brainwashing trip chair. Long term and short term memories are switched around so that the person will have no clue what he or she was doing. Also used for training and torture. Each trip chair costs $17 to $30 million dollars and made from gold and platinum. Milabs stands for military abductions. Military abductions are performed on gifted psychics that are targeted by Project Talent. Those conducting the Milabs are often milabed themselves and have no idea they are leading a double life..." (Ultra Mk Universal Super Soldier Program). neurological manipulation - It is always remotely possible that the government is abducting non-abductees at random for reasons that are unknown. But, most military-style abductions victims are also victims of alien abductions. Thus, the government would have to be working with selected "true" abductees thus making it in league with the extraterrestrials. Also, if the government had its own abduction agenda complete with an enormously sophisticated program of neurological manipulation from afar, one would expect that it would be using this knowledge in a variety of military and civilian ways -- convincing political opponents to do one's bidding, forcing international antagonists to cooperate with the United Nations, and so forth. To control the mind is to control the world. (The government admitted that it experimented with the military use of remote viewing. But remote viewing is extremely primitive when compared with the aliens' enormously advanced and sophisticated neurological abilities.) There is no evidence that the exceptionally useful neurological manipulation so common in alien abduction procedures, has ever been used by the United States in any situation for any purpose (Thinking Clearly About the Abduction Phenomenon). mind control and abductions - There are MILAB abductees who do not experience the alien element, but claim to be under mind control conducted by secret human agencies such as the CIA, NSA and Illuminati. Some secret projects have been identified as those of the149 sub-projects under MK-Ultra. Then there are mind control "survivors" who have been grafted into some of these secret projects (i.e., Monarch, Phoenix Project) because of a high psychic ability, family history of occult involvement such as advanced level witchcraft, Satanism, or are of an "Illuminati bloodline". As you can see, this field of mind control and abductions is complex because there are different types of abductions and victims of mind control. In Ufology, you will hear reports of positive extraterrestrial encounters, where the abduction element is absent. Some persons report benevolent ET contacts or encounters where the aliens are perceived as neutral. Such persons believe that they are not victims of abductions or mind control and consider the negative alien abduction hypothesis as offensive (Identifying Mind Control and Abductions). - "I am a alien contactee and have had contact with the Council of Light. The council of light are a group of benevolent extraterrestrials such as greys and Pleaidians who are working to free humanity from its slavery. I would like to meet other light workers who have had contact with this council or who are interesting in bringing about the golden age of peace on this planet. I have also dealt with some of the more sinister forces within the (MIC) military industrial complex of the the United States Federal government. I have had experience with deprogramming victims of mind control, and I have had experience of being a victim of government mind control. These experiments are taking place on unwitting citizens in this nation using technology gathered from an unconstitutional joint alliance between the government and various extraterrestrial factions. The ones responsible for such actions are purely Satanic. They are in full control of the NSA, CIA, and the highest offices of this land. There goal is to create a one world government with mind controlled slaves and clones, using technology which remains classified under the guise of the National Security Act. However there is a resistance forming. There are many individuals within these intelligence agencies who seek change. Our planet is dying and we are facing a crossroads, do we seek the light of truth or seduction of duality. Because of what I know the government and the MIB have tried to intimidate me. 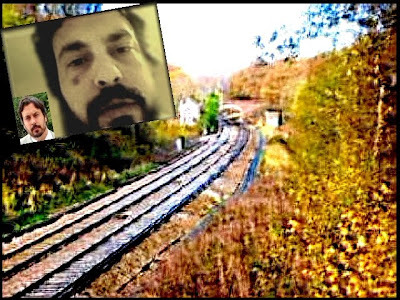 My story details the events surrounding my ordeal...." (James Rink). Can MilAb Military Abductions Be Real? unresolved collective-insanity - "...Your life has changed drastically. You will never look at people, or the American flag the same way again. You are directly experiencing a result of the primitive, unresolved collective-insanity, that you have heard of other historical figures running into. By now you have probably concluded that this is the same entity that has killed people who have recognized & resisted it throughout history. Its name changes from place to place, & from time to time. It expresses itself in different ways. But it is always the same; it is large & powerful & has the minds of most people. You are face to face with it in the form of Organized Stalking. It has focused its attention on you & it will not stop. At this point it doesn’t matter when or why it started, or what the name of the group or agency is. It would have happened anyway. You will end up jobless & Mobbed out of work. You may end up in jail or dead. You will loose friends & family. You may end up homeless, possibly living from shelter to shelter. And you will be persecuted the whole time. I am personally not very religious, but I know evil when I see it. You are in a fight for your life against people being used by Satan. There is no more accurate way to put this. 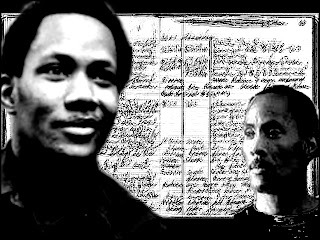 It is necessary that you document your case & survive as long as you can, to provide testimony to anyone with eyes & ears. You are not alone..." (Mark’s letter to Targeted Individuals). to torture & murder - It is a satanic & psychopathic mind: These people are psychopaths. They like to have power over everyone. They demand that all people submit to them. If their system (which among other things is a detection mechanism) identifies a person or group that doesn't yield, then these individuals are attacked viciously. Their entertainment includes having agencies within their "system" detect people on the local level, & then using technology & institutions in the system to torture & murder them. If you want to know what specific families & organizations they are, look at the membership lists of the Order of Skull & Bones, the Bohemian Grove, & the Bilderberg Group. After considering these factors (& others if you are aware of how the system works), then what you may arrive at is simply this--one mind is using technology to attack another mind. There is another psychological factor here too. It's the intended potentially devastating effect of having to consider that a colossal entity is attacking you. The "show of force" is a psychological attack intended to crush your spirit & get you to submit. (4) It is a military tactic (The War Against Me). controlled like puppets - "...the Bilderbergers are philosophically neither Republican nor Democrat, declared Professor Marrs. "Their only 'party' is filthy lucre. ... Money, in turn, brings them power, and these folks have a never satisfied appetite for raw power." Apparently Gorbachev was influenced by the Bilderbergers and talked about a global union during a speaking tour in the United States. "Gorbachev's speeches could have been dictated by Kissinger after being drafted by Rockefeller ... as content was concerned," charged Tucker. "Gorbachev held out the Bilderberg-Trilateral vision of a UN military force that could invade once-sovereign nations to enforce 'human rights.'" "The New World Order means a new kind of civilization," Gorbachev told the Chicago CFR on May 8, 1991. Regarding how President Clinton pushed the Bilderberger objective in 1999, Tucker wrote, "It appeared in daily newspapers for all to read, but too many sleep. The developments were celebrated by The Washington Post's Bilderberg representative Jimmy Lee Hoagland in a column on June 27, 1999 ... [When he proclaimed], 'The president promises a future in which Americans stand ready to intervene militarily if they can stop wholesale racial or ethnic slaughter "within or beyond other nations' borders" ... He promises a new world order.'" 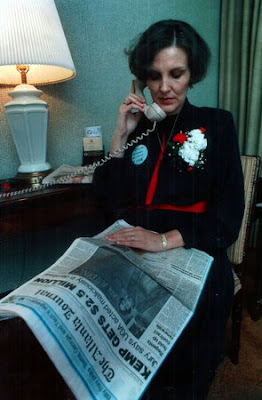 The first American woman to attend a Bilderberg meeting was Hilary Clinton in 1997. Author Marrs senses they may have plans for her in the following years...Presidents and prime ministers are selected by the Bilderbergers and controlled like puppets. Bilderberg meetings are guarded by the military, SWAT teams, local police and private security firms. Like the CFR, their policy is passed without public approval. Their goal is to create a world government under their control, which will have the illusion of freedom. Their motives for establishing a global dictatorship using a fake democracy will be expanded upon when we examine a future chapter on psychopathy. Most are unaware of their existence due to a media blackout. Despite attending Bilderberg meetings, mainstream media owners have reported little on this group for over fifty years (The Bilderbergers). 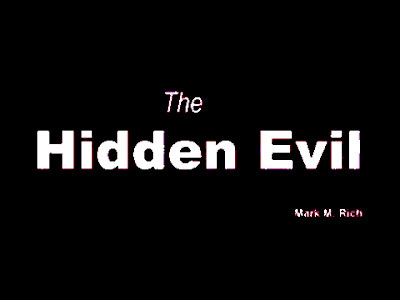 corporate-fascist dictatorship - "Mark M. Rich or someone pretending to be him is alive and well....So this site will also serve as a record. It will be a testimony for anyone who wants to learn the truth about how the streets of the NATO nations were taken over by multi-national corporations, that used federally sponsored harassment groups to Gang Stalk their opposition, in order to pave the way for a corporate-fascist dictatorship. Mark has come to some of the same conclusions that I have in regards to the fact that Gang Stalkers are Civilian Informants as he calls them. I like to think of them as Snitches or Civilian Spies, but it's almost all the same thing, we are getting followed around and destroyed no matter what you call them. He has come to the conclusion that it might not be just a subset of society, but "sub-culture within society, but that it literally permeates all aspects of it", yeah the only thing we differ in here is that I would say that this is how society is. This is how society has been for some time now, if not always. Based on some things that I have seen and experienced, which I will discuss in another post. I don't think that exposing this is the main problem. The snitches know that they are snitches, and like a cult or sorority are bound to this code of silence for so many reason. Anyways, there is so much that I have to blog about, so I will summarize Mark's site in brief, but really go to the site and read it, he has put a lot of work into it. He says that the citizen informants are part of a the global one world government thing. A lot of the Gang Stalking stuff is exactly like what they did in Stasi Germany. This is how societies in the past turned evil, and that we are heading there again, if this is not exposed or stopped..." (The Hidden Evil). holocaust - Investigative journalist Greg Syzmanski comments that "after an extensive career in US Army Intelligence as an area intelligence officer, on return to civilian life Julianne McKinney became a member of the Association of National Security Alumni, an organization of former intelligence officers dedicated to exposing escesses by the US intelligence services. Appointed as director of the electronic surveillance project, in 1991 Julianne authored the publication "Microwave Harassment and Mind Control Experimentation", still recognized today as one of the most authoritative documents on the subject. Within the interview, Julianne McKinney makes the frightening observation that the ultimate objective may be "to control and correograph those who are involved in these harassment operations on the dispensing end. And it would appear that those being targeted are simply objects, whom I see as ultimately being disposable. In other words, I think that once full control is established over a major percentage of the population, and enough of the pouplation is silenced and unwilling to stick their necks out, we would inevitably be heading towards a HOLOCAUST." (Julianne McKinney on Microwave Harassment and Mind Control Experimentation -- Greg Syzmanski interview). mind-control experimentationThe August-September 1991 issue of UNCLASSIFIED reviewed Hamline University's "Public Administration" report on the resolution of MKULTRA cases in 1988. Although the shocking details of medical ethics abuses by the U.S. and Canadian governments were amply detailed, Washington and Ottawa -- citing national security and government privilege -- stalled for so long that cases never came to trial. the surviving victims settled for a pittance in an out-of-court settlement. Since no individuals or agencies were held legally accountable, the door was left open for possible resumption of similar "mind-control" activities. In the context of that article, we mentioned briefly that some half-dozen people had contacted us with appeals for assistance in ending what they believe to be electronic harassment and mind-control experimentation, possibly involving the CIA. We decided to take a closer look at the situation. We are now in touch with approximately a dozen individuals throughout the United States who appear to be targets of harassment and mind-control experimentation involving directed-energy technologies. [By mid-November 1992, the number had increased to 25.] Typically, persons who complain of being "zapped by radio waves" and of "hearing voices" are stigmatized as psychotic, delusional or schizophrenic. Being mindful of this, as well as aware of the treatment accorded UFO and psychic phenomena "freaks," we approach this subject with a high degree of caution. Based on our preliminary investigation, including interviews with the affected individuals, we conclude that the matter is serious and should be pursued further (Microwave Harassment and Mind-Control Experimentation). letter to the president - "...As to DoD's claims regarding their lack of involvement in involuntary human experimentation, you might want to read DoD Directive 5240. l-R ("Procedures Governing the Activities of DoD Intelligence Components that Affect United States Persons"). According to this regulation, persons who qualify as "targets of surveillance" become fair game for the testing of all forms of communications and "non-communications" frequencies. Radar is identified in this regulation as a "non-communications" frequency. (Radar is also now being touted as a "non-lethal" asset.) Also according to this regulation, signals testing and experimentation in "targets of surveillance" may involve the joint participation of the Central Intelligence Agency. I am bringing this to your attention because these recurrent attempts would appear to belie the officially-benign position taken by the Department of Defense regarding involuntary human experimentation. Indeed, I am being given the distinct impression that U.S. citizens who push for investigations into these experiments face a future on a morgue slab. This is not my idea of how a democracy should operate. Perhaps I am mistaken..." (Julianne McKinney's Letter to President Clinton and His Reply). the current 'Julianne McKinney'? - Anyone who observes the attitude of the 'Julianne McKinney' on the multistalk forum will undoubtedly see how inappropriate this person acts towards most of those who come on there claiming to be targets of gang-stalking. In considering what the real intent is of this person and this forum, it soon becomes obvious that this 'Julianne McKinney' is there to identify and monitor real targets of government initiated gang-stalking operations. Although a person named Julianne McKinney may have released information on mind-control and electronic harassment, that may have been part of a carefully planned, longer-term operation against the public. Or, the real Julianne McKinney may have been disposed of in the same manner as many other government whistle-blowers have been in the past, and her identity was stolen to give some other loyal NSA scumbag a seemingly credible front for identifying and monitoring people who believe they are being gang-stalked. It's often been said by those who would know, that when you join an organization such as the NSA, you can never really leave. There is too much of a possibility of exposing secrets. The NSA has a long and growing record of permanently disposing of those who try to separate themselves from that extremely corrupt organization (Minions of the New World Order ). killed violently - Mr. Daoud's death follows his leadership of political demonstration that I attended on 14 October (2009), and prevents his leadership of a follow-up demonstration on the same issue that is planned for 10 December, Human Rights Day. The last death threat known to us was made on 14 October, when Mr. Daoud was on the train home from the first demonstration he led, the only one he will now ever lead, as it now turns out. In the light of these facts, the decision of British Transport Police, that Mr. Daoud's violent death, when aged only 34, is "non-suspicious," therefore strikes the trustees of this charity as ill-informed and mistaken. Darrim Daoud was found dead on November 15 2009. One month earlier he had emailed the other UK TIs to organize them for the 14 October London TI demonstration at Trafalgar Square. He had emailed us and above is the photo of the placard he had designed for the 14th October 2009World Day protest against DEWs. He received death threats and did not show up for the protest, and no TI made a placard eventually. Here is Darrim's email to organize the world day protest for London, which would have been a success if Darrim had not received death threats: "You are invited to attend a protest in Trafalgar Square London from 1PM on Wednesday 14th October. Feel free to get there earlier if you wish. 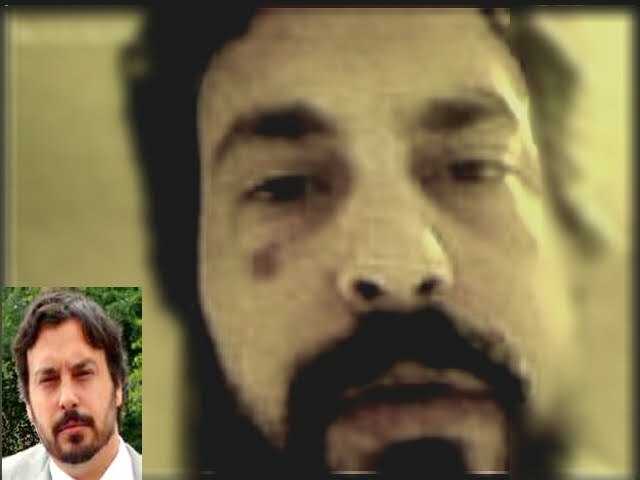 Attached as JPEG documents are two images stating 'Stop Directed Energy Weapons Torture' and 'Stop Organised Stalking'. The attachments of the two images are in sizes A3, A2 and A1. You can use these images to make your placard (or you could design your own placard). If you use these images it is suggested that you choose a size you are comfortable with (the bigger the better) and get them printed on thick card at a print shop. You could have the two different images on seperate pieces of card to be on each side of the placard. You can nail the card to a piece of timber to make your placard. I am bringing music to play. It is suggested that you bring anything you like to draw attention to this action - be creative. I look forward to seeing you at the protest, and may justice prevail for all the victims. Best Wishes, Darrim Daoud (Beulah Baruch Ministries). organised activist - Amanda Palmer: "I have some bad news about a UK TI. I am not sure if you remember a guy writing on the Forum called Winston Smith. Winston was actually called Darrim Daoud. John and I went to see him recently as he wanted to organise the UK Global Protest himself. What we saw was a lovely young man, who was an incredibly organised activist he had a wonderful personality, very down to earth and he did not have a paranoid or suspicious bone in his body. Darrim was in his early thirties of mixed race, English and Iranian, he was angry at being harassed but kept it in perspective, and of course asked the same questions as we do which is "why him?" so he was EH as well as organised stalked, he had what I had, no voices, and the locality of people decided to harass him as in car and property damage. All of course upsetting. This of course put him into the English psychiatric system. He tried to tell his family what was happening and of course it was all denied and that he was imagining it. Darrim Daoud is the first well known TI, in the TI community, killed at 34, because he was a popular and attractive activist with leader qualities to organize the derelict and dispersed UK TI community.Nobody helps the UK Targeted Individuals. I questioned the UK authorities about their torture on www.whatdotheyknow.com , type my name in their FOI search box: Joanna Iatridou and shows 80 queries so far. I blogged about my 2010 research on TIs in www.howbizarre2010.blogspot.com. 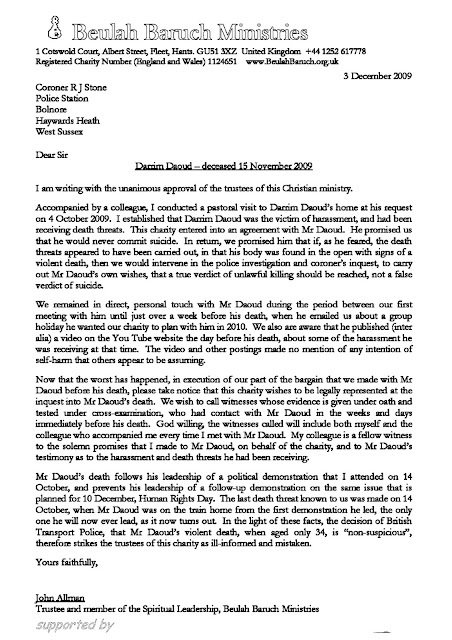 But now it is 2011, Darrim Daoud's inquest is not yet publicized and the UK TIs tend to get incapacitated and "disappear" from the activism and social media scene. I would like to make this a blog with several TI writers and restart meetings with the other TIs. Unless I get vital organ failure and end up crippled like many of the "not seen lately" other UK TIs (UK Targeted Individuals Activism & Safety Watch). This shows the injuries sustained by a victim of directed energy weapons torture. During the night his skin was seriously burnt with these weapons. His tendons were also damaged causing his hand to be permanently disfigured as can be seen in the video. The victim is from the UK (Uploaded by MrLanercost on Oct 15, 2009). raw material - "Now, you talk about [how] these kids are not taught in high school. They aren't. We try to teach them here, but there is no way to do it. The majority of these kids are black that are coming in, and it kind of rips in at me at the insides, and I take it very, very personal. I know for a fact that these kids would not be here if it were not for their utility to the institution. There is no real sound academic reason for their being here other than to be utilized to produce income. They are used as a kind of raw material in the production of some goods to be sold...and they get nothing in return...." (This Case Was One For The Books). she shed light - For everyone who cares about maintaining education's fundamental role within the pseudo-professional world of college athletics, Kemp is a hero. For every athlete who has been helped toward a degree by enhanced academic support, Kemp is a hero. And for everyone who ever stood on principle in the face of institutional backlash, Kemp is a hero. 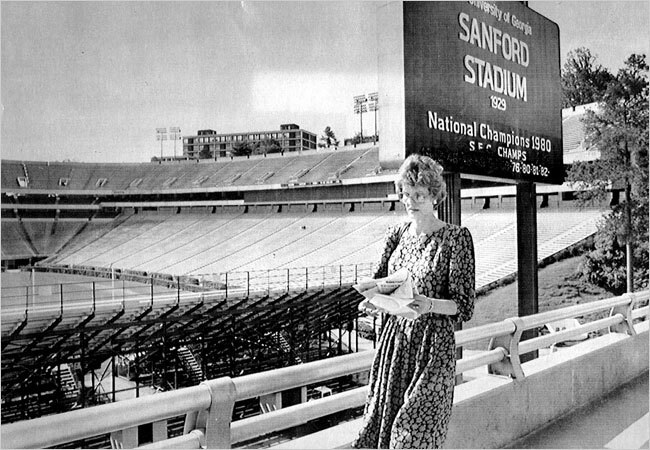 Before she shed light in the early 1980s on Georgia's preferential treatment for academically unprepared athletes (including grade changes in remedial courses), there was no such thing as national academic standards for freshman eligibility. There were no academic reporting forms documenting what kind of students schools were bringing in to play sports, or how many graduated, or how many maintained satisfactory progress toward a degree. There were no major financial commitments to helping jocks succeed in the classroom -- no state-of-the-art academic centers, and very few fully funded academic support staffs. If schools didn't care whether their athletes got an education, nobody was there to call them on it. Until Kemp did (Heroism of Jan Kemp changed face of college football). 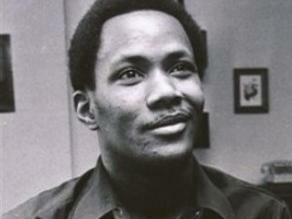 travails - Although Dr. Kemp was ultimately vindicated, she said she suffered emotional turmoil from the dispute and twice attempted suicide in 1982. Notwithstanding her travails, she made her point. “All over the country, athletes are used to produce revenue,” she told The New York Times a month after the trial. “I’ve seen what happens when the lights dim and the crowd fades. They’re left with nothing. I want that stopped.” (Jan Kemp Dies at 59; Exposed Fraud in Grades of Players). Jan Kemp (1949 - December 4, 2008) was an American academic and English tutor who exposed the bias in passing college football players and filed a lawsuit against the University of Georgia. Born in Griffin, Georgia, Kemp earned a bachelor’s degree in journalism and a doctorate in English education. 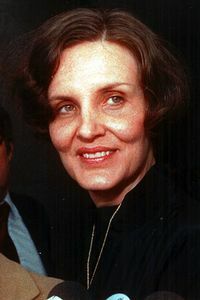 She began teaching at the University of Georgia in 1978. In 1981 Kemp was one of the teachers who complained claiming that Georgia officials had intervened allowing nine college football players to pass a remedial English course, allowing them to play against Pittsburgh in the Sugar Bowl. Kemp was demoted in 1982 and dismissed one year later. She then filed a lawsuit claiming she had been fired due to her complaints about the passing of players. During the time after she was dismissed Kemp tried to commit suicide twice. The University defended its actions saying that Kemp was dismissed for "disruptive conduct and for failure to conduct adequate scholarly research." The jury found the University guilty for the illegal dismissal of Dr. Kemp and she was awarded $2.5 Million, which was later reduced to $1.08 Million. Kemp was reinstated and University President Dr. Fred C. Davison resigned. 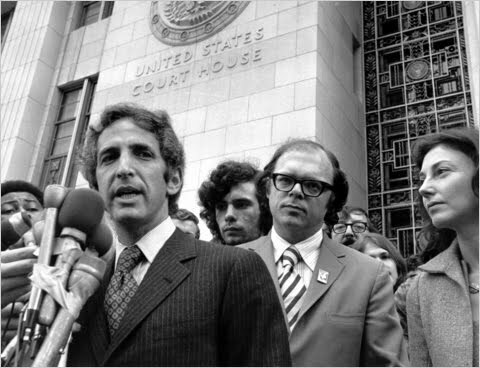 After the trial Kemp spoke to The New York Times, saying, “All over the country, athletes are used to produce revenue. I’ve seen what happens when the lights dim and the crowd fades. They’re left with nothing. I want that stopped." Kemp retired from teaching in 1990 and was named a hero of the 1980's by People magazine. 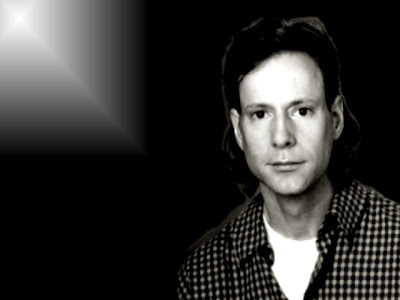 Kemp died on December 4, 2008, at the age of 59. Her son stated that she had died from complications of Alzheimer’s disease. She is survived by her son and daughter (Wikepedia). unspeakable atrocities - "It is a tragedy, what is happening, what Bush is doing. But Bush is now undermining the United Nations," Mandela told the International Women's Forum. Mandela said he would support action against Iraq only if it is ordered by the U.N. He urged the people of the United States to join massive protests against Mr. Bush and called on world leaders, especially those with vetoes in the U.N. Security Council, to oppose him. "What I am condemning is that one power, with a president who has no foresight, who cannot think properly, is now wanting to plunge the world into a holocaust." And that wasn't all. He attacked America for its record on human rights and for dropping atomic bombs on Japan World War II. "If there is a country that has committed unspeakable atrocities in the world, it is the United States of America. They don't care." That brought an unusually subdued reaction from the White House (Mandela Slams Bush On Iraq). not a direct threat - "...No, it is not a direct threat to the Europeans. We are not ant-white, we are against white supremacy and in struggling against white supremacy we have the support of some sections of the European population and we have made this clear from time to time. As a matter of fact, in the letter we wrote to the then Prime Minister of the country, Dr Malan, before we launched the Defiance Campaign, we said that the campaign we were about to launch was not directed against any racial group. It was a campaign which was directed against laws which we considered unjust, and time without number the ANC has explained this . . . It is quite clear that the Congress has consistently preached a policy of race harmony and we have condemned racialism no matter by whom it is professed..." (Nelson Mandela's Testimony at the Treason Trial 1956-60). joyous memory - It's true that Mr. Mulroney and Mr. Mandela remained on good terms and the prime minister contributed to special funds that Mr. Mandela needed. Mr. Mulroney will always be able to claim that he played a greater role than most other Western leaders in the ending of apartheid. But it was far from the contribution he might have made. Besides the insult to Mr. Tambo and Joe Clark's double standard about the use of violence, Nelson Mandela's people never forgot that when their arch-enemy Mangothusu Buthelezi came to Ottawa in 1992, Mr. Mulroney was only too happy to agree to a smiling photo-op with him. This at a time when Mr. Buthelezi was colluding with the apartheid government in a ferocious and deadly battle against Mr. Mandela and the ANC. Equally troubling is the number of Canadian business-people who suddenly discovered, after Mr. Mandela's release, their anti-apartheid bona fides and craved nothing more than a photo with the great man. In fact, the vast proportion of our business community had been either complicit or indifferent to apartheid. 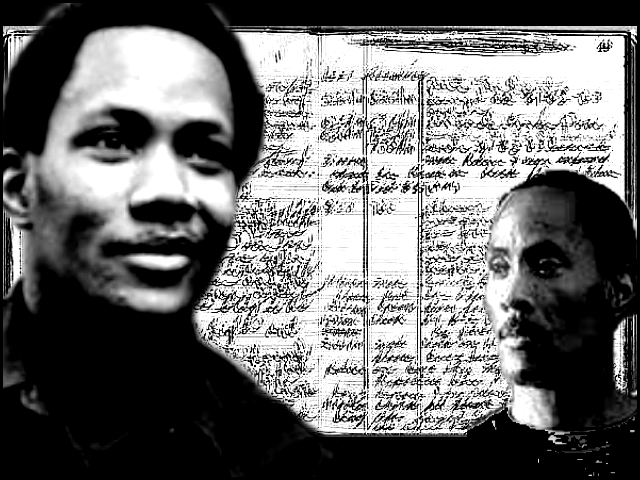 Some blithely invested in South Africa, many condemned the ANC as violent Marxists, many were simply oblivious to the issue, while some actually embraced black South African stooges who were conspiring with the dying white government against the ANC. 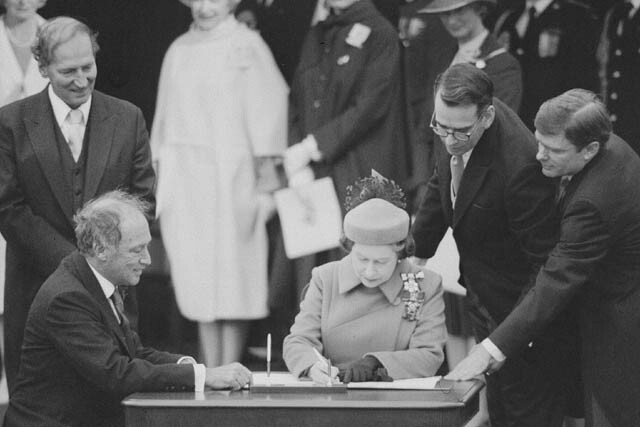 It was Canadian civil society that played a heroic role in the struggle against apartheid. 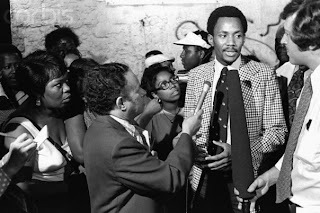 The Canadian anti-apartheid coalition –solidarity groups, NGOs, trade unions, churches, South African exiles – was one of the great international movements in our country's history. Tens of thousands Canadians were involved, and it is they who can take most satisfaction at the joyous memory, exactly twenty years ago, of watching Nelson Mandela walk free from his prison (Canada and Mandela: the story behind the myth). 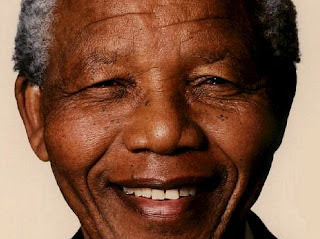 Nelson Rolihlahla Mandela (Xhosa pronunciation; born 18 July 1918) served as President of South Africa from 1994 to 1999, and was the first South African president to be elected in a fully representative democratic election. Before his presidency, Mandela was an anti-apartheid activist, and the leader of Umkhonto we Sizwe, the armed wing of the African National Congress (ANC). 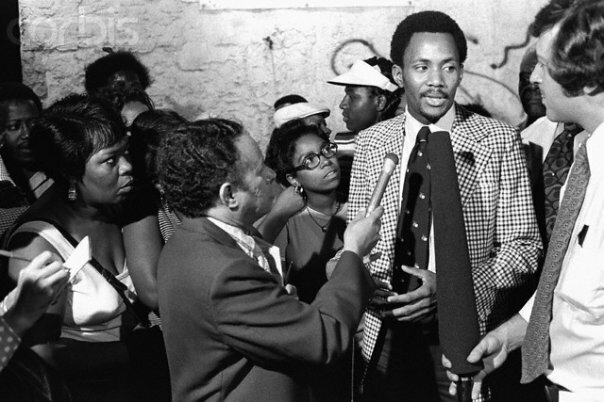 In 1962 he was arrested and convicted of sabotage and other charges, and sentenced to life in prison. Mandela served 27 years in prison, spending many of these years on Robben Island. Following his release from prison on 11 February 1990, Mandela led his party in the negotiations that led to multi-racial democracy in 1994. 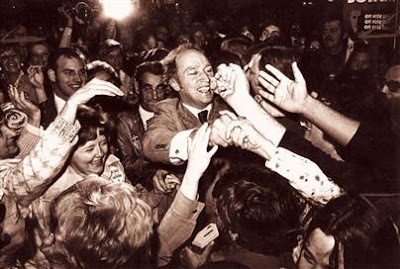 As president from 1994 to 1999, he frequently gave priority to reconciliation. 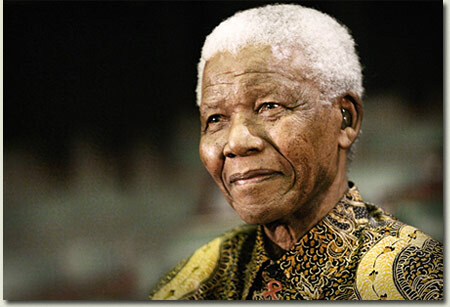 In South Africa, Mandela is often known as Madiba, his Xhosa clan name; or as tata (Xhosa: father). Mandela has received more than 250 awards over four decades, including the 1993 Nobel Peace Prize (Wikepedia).